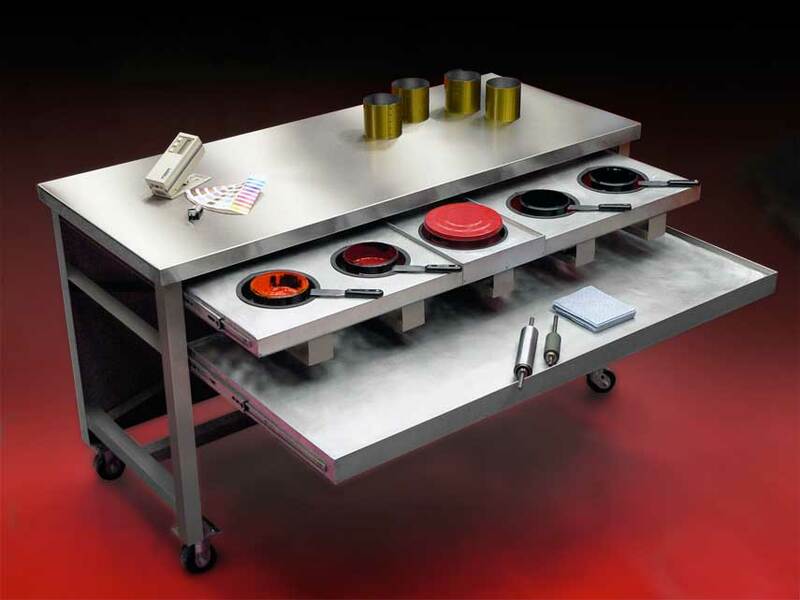 Custom Ink Tables - Sanden North America Inc.
Quality begins with a well organized work environment! Sanden’s custom-built ink tables provide an excellent way to begin and end each print job. Designed for efficient workflow, these tables allow ample room for every task. With optional components such as a D5000 color viewing light, a spare roller rack or a lower ink shelf, Sanden North America can provide you with the perfect workstation to fit your needs. To request a price quote visit our Contact page.